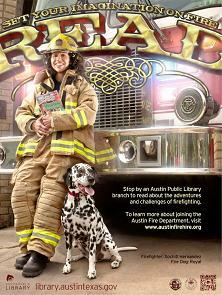 Thank you for your interest in becoming a Cadet for the Austin Fire Department. We have additional information for those who want to find out more about our exciting career opportunities located at JoinAFD.com. For other City of Austin employment opportunities, please refer to City Jobs. Physical fitness is a critical part of a firefighter’s duties. See more information on preparing for the requirements. Candidates should continue to prepare for their fitness requirements throughout the hiring process in preparation for the first day of the academy if hired. Read more. Components of the hiring process are listed below with further information linked for details. The 2019 Fire Cadet job posting closed on March 27, 2019. Qualified Applicants will be notified of their assigned test date by way of an e-mail from FireEmployment@austintexas.gov by April 15th, 2019. Testing is set to occur on two separate dates. Applicants will be scheduled for the written exam by their confirmation number. Assigned test dates will be posted below by April 15, 2019. Applicants will receive individual emails with their assigned test date between 4/8 through 4/15/19. Exams will begin at 8:00 AM and will take approximately 4 hours. Plan on arriving early, as parking may be difficult, and no one will be admitted after 8:00 AM. YOU MUST BE IN LINE, AT THE TESTING SITE, BY THE TIME/DATE OF YOUR SCHEDULED EXAM IN ORDER TO PARTICIPATE. Applicants have been scheduled for the written exam by confirmation number. Candidates will not be provided with their scores for the written exam. All candidates who took the Written Exam will be scheduled to participate in the Structured Oral Process (SOP). Assigned test dates will be e-mailed to each candidate. Print and bring the email with you to the appointment. Further information about the Structured Oral Process can be posted on this web page by June 1, 2019. Candidates will not be provided with their scores for the Structured Oral Process. AFD will begin accepting DD Form 214 documents online for Military Points between May 14, 2019 through June 15, 2019. In order to be considered for the additional military points, the candidate must provide a copy of their DD Form 214. The copy of the DD Form 214 provided must contain boxes 23 through 30. Candidates must meet two (2) criteria to be eligible for the bonus points, 1) have an Honorable discharge; and 2) have served a minimum of 180-days of continuous active duty service in any branch/component of the US Military. No other discharge status will be accepted. The deadline for submission of DD Form 214 is June 15, 2019. Any submissions received after this date will not be accepted. To submit a DD Form 214, please go to the Austin Fire Department DD Form 214 Submission Page by following the link below. This is the only way that a candidate will receive credit for a DD Form 214, No paper copies will be accepted. Please do NOT email, mail, or hand deliver your DD Form 214. The DD Form 214 will need to be submitted in an electronic format (PDF, tiff, doc, jpg, etc.). Please ensure that the format you select is legible prior to submitting. Further instructions including the submission link will be provided when you exit the Written Exam.